Amid the springtime bloom, Metro Nashville is handing out tree seedlings to fight back against tree canopy destruction. Harding Academy student Alex Wang reads his Arbor Day essay. A family walks beneath an Eastern Redbud tree at Centennial Park in Nashville. There’s evidence of one consequence of Nashville’s building boom: the city’s trees are under threat. So while celebrating Arbor Day on Thursday, Metro handed out dozens of oak, Eastern Redbud, and Sargent Crabapple seedlings. Metro Public Works Horticulturist Jennifer Smith pointed to benefits “for air quality, stormwater management … (and) property value of your home." 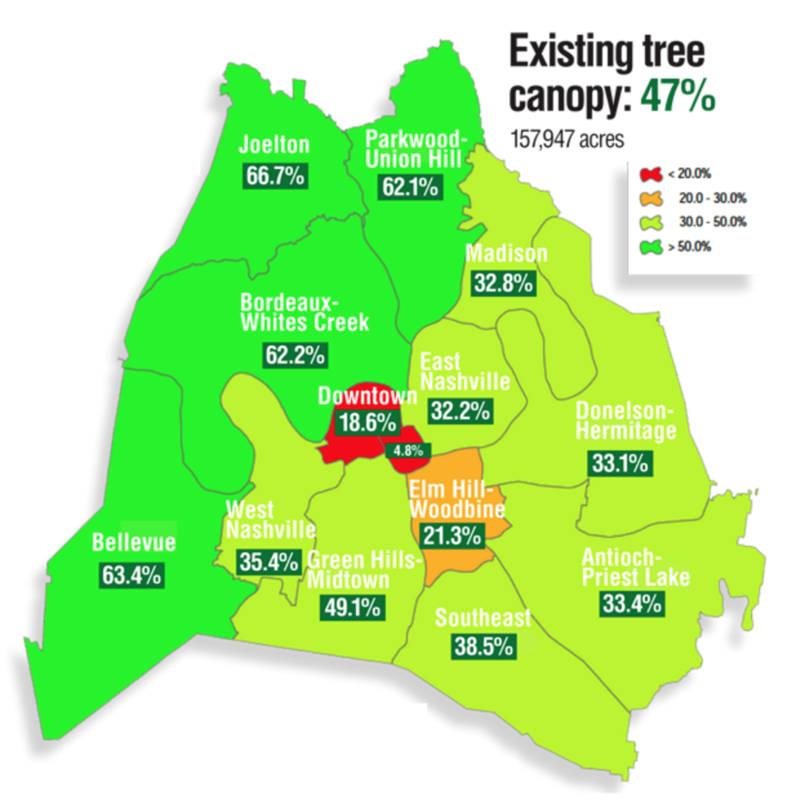 But for all the attributes of trees, research shows Nashville’s tree canopy is thin compared to many cities. And what is there has been under threat by development, especially from new housing, Smith said. Metro measured its tree canopy in 2010. “We have tree ordinances for our businesses. But at the end of the day, it’s up to the individual homeowner — the landowner — to do the planting, to keep that tree canopy going over the years,” she said. Smith said the Metro government owns just 5 percent of Davidson County land — so the city planting more trees isn’t good enough. “We can plant all day in the parks and right-of-ways and still not make a huge dent in the percent of tree canopy that we have,” Smith said. Hear horticulturists Jennifer Smith and Randall Lentz describe the three species being given as seedlings. 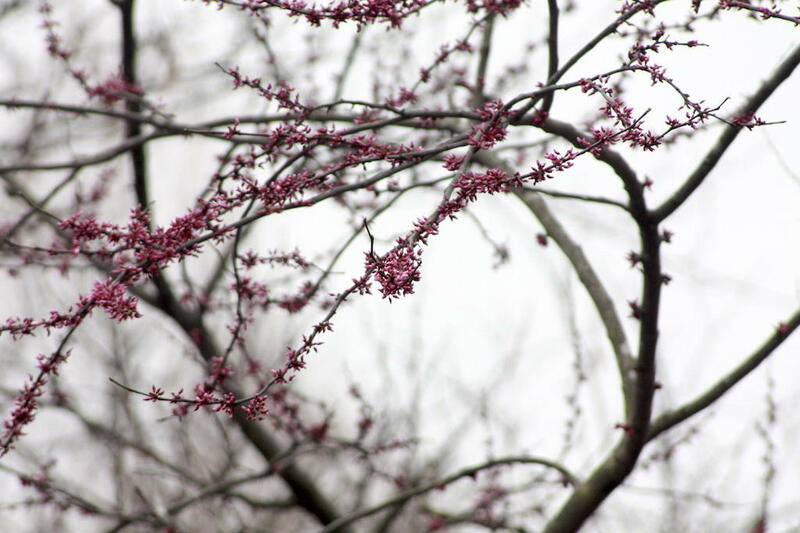 By giving away seedlings — and growing instructions — Metro hopes future generations will see more trees like the iconic redbud, which is native to Tennessee, and just now beginning to bloom. Also at the celebration, Mayor Megan Barry announced a new "Historic and Specimen Tree" program, in which Nashvillians can nominate a tree to receive deed-restriction status. • exceptional size and age. • commonly recognized as an established and familiar feature of the community, or confirmed as a significant part of the community’s heritage. • planted by, or as a memorial to, or associated with, a nationally, regionally, or state-recognized individual, group, event, or cause, and is at least 50 years old. The Metro Advisory Tree Committee will review applications. More information is available at Trees.Nashville.gov. The Eastern Redbud trees in Centennial Park will be in full bloom in late March.